Brad Tillman can mesmerize audiences with his trumpet playing. While his heart is with Jean - his best friend's attractive sister - his senses are held captive by a wild, mystical trumpet player named Earle, who he meets in a Chicago parking garage on his Prom night in 1948. Earle invites Brad to jam. "I mean, REALLY jam!" The moment Earle lifts a jewel-encrusted trumpet to his lips, their rendezvous proves to be a tumultuous turning point in Brad's life. He inherits the trumpet, along with Earle's old Hudson roadster. And if Brad's playing was good before, now he can shake the world. But the mysterious trumpet has to be returned. All your questions will be answered in due time," Earle explains before he departs, leaving Brad scratching - make that rubbing - his head, wondering just what has been set before him. With potent forces pursuing him and the trumpet, Brad begins an electrifying journey through Chicago's smoky nightclubs, the Army in Korea, and finally to a jazz club in the deep South, where he encounters the trumpet's deadliest foe. Of all the advice and prayers Brad receives as he embarks on his quest, his mother's wisdom rings true: "There's a great Joy in this. Hold onto that Joy and never let go. It'll be your best weapon." Long-time musician and feature writer Randy Baran has written an urban fantasy trilogy in the spirit of the movies of the '30s and '40s. He has created this adventurous, passionate, and sometimes outrageous high comedy in hopes of inspiring Joy in your soul. Fantastic ... Compelling ... Wonderful and Gripping from the first sentence to the last it will have you caught up in the lives of the characters from the first. If you are a musician or even if you are not this book takes you into the world and light of music and adds a touch of fantasy to keep you on the edge of your seat. This book is a great piece of Fiction that leads you on a journey with many twists and turns and when you think it is done comes back to leave you hanging and wanting more. 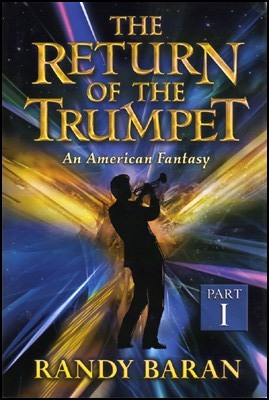 This book starts with the main character (Brad) wanting to graduate from high school and join one of the Big Bands with Benny Goodman or Harry James, to his time in Korea, and to the decline of Big Band and the rise of Rock 'N' Roll in the early '50s. I had a hard time puttin this book down from the first chapter to the last and am looking forward to reading Parts 2 and 3.